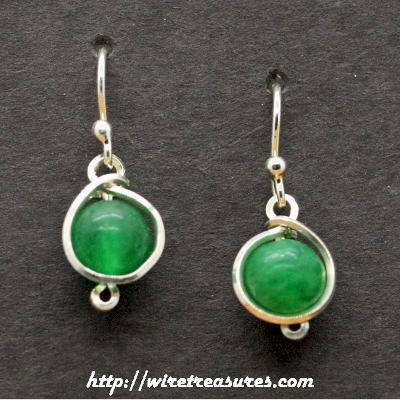 Sterling Silver twisted wire earrings each with a single Aventurine bead. Perfect for dress-up or hoe-down! Sterling Silver ball posts finish these off. You are visitor number 4,120 to this page.